"This kit contains 2 products for the care of your leather and leather-like articles (suits, jackets, trousers, boots, gloves). 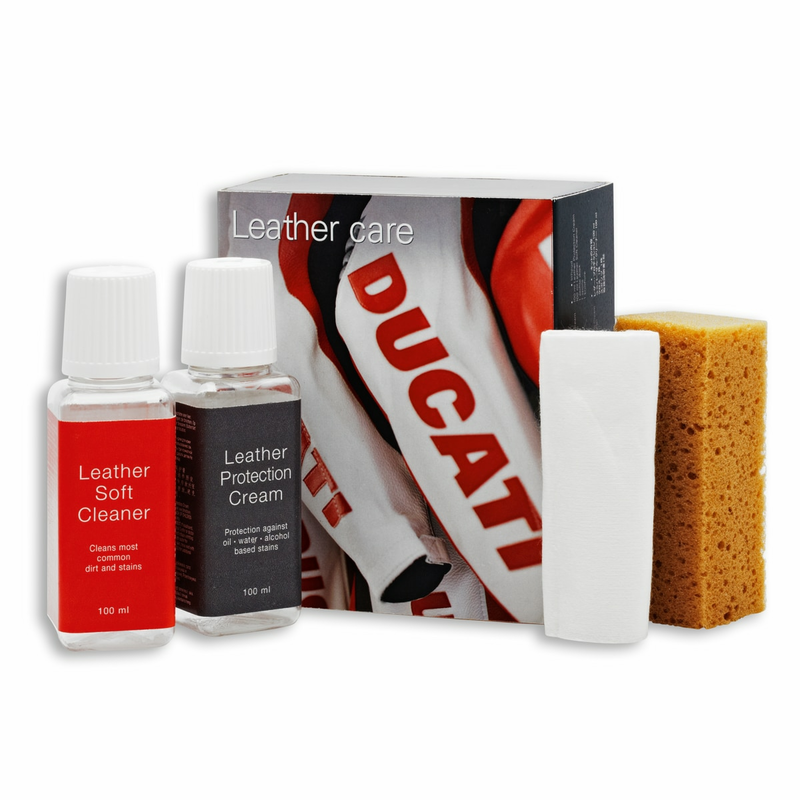 - Leather Soft Cleaner will clean most stains and soiling from leather without harming it. To be used with a synthetic sponge. Can be used also to clean technical fabric items. Leather Protection Cream is a product which keeps your leather soft and will assist you in repelling staining and soiling on it. Apply it with a soft cloth."